Why Does Your Small Business Need A Mailing Machine? These days, small businesses need every edge they can get over the competition with increasing rents, ever climbing taxes, and razor thin margins. Business owners are looking to save time and money wherever they can within their organisations, while still remaining competitive and without huge capital investments required. Many small businesses process huge amounts of mail as a part of their daily operations, both incoming and outgoing. In these cases, a mailing machine might be an ideal way to cut costs and streamline your processes. But why does your small business need a mailing machine? There are many benefits to investing in a mailing machine that all add up to savings for your bottom line. Let’s take a look at some of the most significant reasons to add a mailing machine to your inventory. Perhaps the most important benefit to many small business owners will be the inherent cost savings that a mailing machine brings. A mailing machine automates the entire mailing process, from folding and labelling, to stamping and weighing. Addresses are drawn directly from your customer database and assigned to the correct piece of mail using intelligent software, so you’ll never have to worry about misaddressed mail again. This is an instant saving in less wasted materials, less wasted time, and a better relationship with your customer. 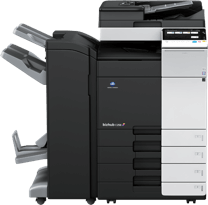 Additionally, mailing machines can be extremely compact, which can allow you to utilize your office space more efficiently. The initial investment required for a mailing machine is quickly recovered in these cost savings alone. Over time, further savings can be realised in the form of lower personnel requirements and subsequent payroll savings. Busys.ca offers the latest in mailing machine technology from industry leader Francotyp. Our machines use cutting edge technology to ensure your mail gets to where it needs to go, and you don’t pay a cent more than necessary for your shipments. All our machines are also available to lease or purchase, so you’ll always have the option to choose what’s best for your small business. Tied to the cost savings is the other main benefit of a mailing machine: saving time. The mailing machine is designed to automate almost everything about the mailing process. This includes weighing envelopes and packages, printing the correct postage amount directly onto the letter, folding, and sealing. The entire system is designed to be a hands off experience, only requiring you to feed the envelopes into the system and collect completed letters at the end. The time savings from this are clear. No more waiting in line at the Post Office for stamps, no more fiddling around with addresses and labelling. No more hand cramps from having to fold letters over and over again. With a mailing machine, your small business could be running as smoothly as a multinational corporation in no time. Busys.ca also offers mailing machines with in built cost tracking, so you can keep tabs on which projects or departments are spending how much. This saves time when it comes to accounting and financing as well, as you can simply export a spreadsheet with all your costs instead of having to find every last postage receipt and calculating it manually. Another great feature of mailing machines is their deep integration with Canada Post. Francotyp mailing machines are all capable of connecting seamlessly with Canada Post’s mailing platform to accurately calculate postage costs and update live with the latest rates and fees. This ensures you’re always paying the lowest fee and that you’re never caught without having paid enough. Your Canada Post integration can also be easily accessed using intuitive software programs that allow you to track spending, assign roles, and track packages wherever they might be. All of this adds up to significant time and money savings across the board. When every dollar and every second count for small businesses these days, few can afford not to investigate every potential cost saving or efficiency booster. Busys.ca has a dedicated team who make it their top priority to find you a mailing machine that is perfect for your small business. Our printing experts will find out exactly what you need when it comes to a mailing machine and connect you with the right model. 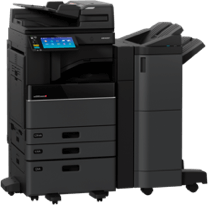 Our machines can be either leased or purchased to suit any cash flow, and our service agreements ensure they’re always stocked up with enough ink and repairs are just a phone call away. If you’re looking at the cost benefits of a mailing machine for your small business, contact Busys.ca today and find out what we can do for you.